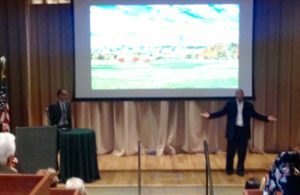 The participation and contributions of the guests and external collaborators – along with McGowan Institute for Regenerative Medicine affiliated faculty and trainees – provided for insightful discussions and identification of opportunities for partnership. 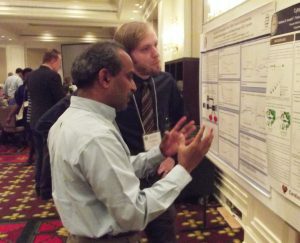 This year’s program was co-chaired by Fabrisia Ambrosio, PhD, MPT, Assistant Professor in the Department of Physical Medicine and Rehabilitation at the University of Pittsburgh, and Vijay Gorantla, MD, PhD, McGowan Institute Deputy Director, Associate Professor of Surgery in the Department of Plastic Surgery, and the Administrative Medical Director of the Pittsburgh Reconstructive Transplant Program at UPMC. The Retreat’s Opening Session was led by McGowan Institute Director William Wagner, PhD, Professor of Surgery, Bioengineering, and Chemical Engineering at the University of Pittsburgh. Following Dr. Wagner’s welcome, the main program for the evening was a “Tribute to the Artificial Heart Program” which included contributions from McGowan Institute faculty members—Harvey Borovetz, PhD, Distinguished Professor and former Chair (2002-2013) in the Department of Bioengineering, Swanson School of Engineering at the University of Pittsburgh, the Robert L. Hardesty Professor in the Department of Surgery, University of Pittsburgh School of Medicine, a Professor of Chemical and Petroleum Engineering and of the Clinical and Translational Science Institute, and a Deputy Director of Artificial Organs and Medical Devices at the McGowan Institute, Robert Kormos, MD, Professor with tenure specializing in cardiothoracic surgery at the University of Pittsburgh, the Director of UPMC’s Artificial Heart Program, and Co-Director of the Heart Transplantation Program, and Peter Wearden, MD, PhD, Department Chair, Division of Cardiology, Department of Cardiovascular Services, Nemours Children’s Hospital, Orlando, Florida. A full list of the presenters in each session is available here. Retreat participants were entered into a raffle after visiting the exhibitor stations. Winners of the prizes were Peng Zhang, Xin ‘Sally’ Zheng, Aimon Iftikhar, and Firuz Feturi. We would like to thank everyone who visited the Histology booth at the McGowan Retreat this year. It was so fun to meet fans of our work, and hopefully we will see a few new faces around the lab this year! Used to differentiate young and mature collagen as well as stain reticulum. Herovici’s solution stains young collagen and reticulum blue and mature collagen red while providing a yellow cytoplasm counterstain. Nuclei are stained blue to black with Weigert’s Hematoxylin. You’ll receive 20% off Herovici Staining for the entire month of April when you mention this ad. Contact Lori at the McGowan Core Histology Lab by email: perezl@upmc.edu or call 412-624-5265. 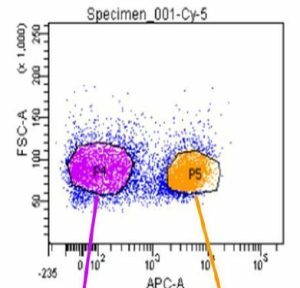 Flow Cytometry is a valuable technology available at the McGowan Institute for Regenerative Medicine that enables University of Pittsburgh researchers to investigate and/or characterize cells based on surface or intracellular expression of antigens, proteins, DNA, or enzyme function. Using fluorescent dyes and antibodies conjugated to fluorescent stains, the technology is able to rapidly interrogate and analyze thousands of cells per second and provide comprehensive data for each individual cell. Just how well do you know Flow Cytometry? Try your hand at this trivia quiz. True or False: A negative control is never necessary when designing a Flow Cytometry experiment. 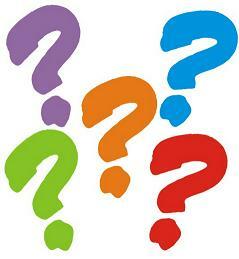 True or False: Flow Cytometry can analyze multiple parameters at high rates of speed for each cell within the sample. For the correct answers to this quiz, please contact Lynda Guzik, the Flow Cytometry Lab Manager, at 412-648-8660 or guzilj@upmc.edu. Ms. Guzik is also available to assist you in the understanding, development, and usage of multi-parameter Flow Cytometry in order to further your research. The Flow Cytometry Facility is sponsoring a Lunch and Learn Seminar Series. The next seminar will occur on Tuesday, May 3, 2016 at 12:00 – 1:30pm in Conference Room 402 at 450 Technology Drive, Bridgeside Point II. 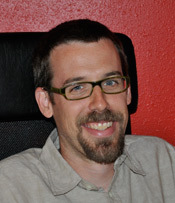 The seminar is titled “Detect RNA the smart way with SmartFlare New Technology for Live Cell RNA Detection and Biomarker Profiling” and will be presented by Matt Mandeville, Application Scientist. SmartFlare probes are capable of detecting specific mRNA and microRNA in live cells. This technology allows for carrier-free uptake of the reagent, followed by detection of target RNA at the single cell level, with the ability to perform downstream analysis in the same sample. The reagent has no toxic effect on cells and we have demonstrated the ability to isolate and further propagate live cell populations based on gene expression levels. For more information or to RSVP, please contact Lynda Guzik. 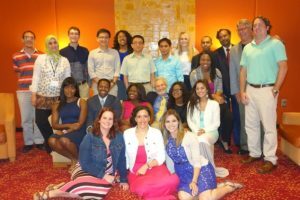 The University of Pittsburgh and Magee-Womens Research Institute is hosting the NIH-sponsored Rehabilitative and Regenerative Medicine for Minority Health and Health Disparities Advanced Training Course from June 6-10, 2016. The purpose of this NICHD Continuing Education Training Program is to provide comprehensive and sophisticated training and state-of-the-art methods on bioengineering, cellular, molecular and genetic approaches for advancing the fields of Rehabilitative and Regenerative Medicine. Program organizers include Drs. Gerald Schatten, Fabrisia Ambrosio, and Michael Boninger. Researchers and clinicians from around the country have been selected to present during this week-long course, including Pioneer Award Lecturer, Dr. Donald Ingber from the Wyss Institute for Biologically Inspired Engineering at Harvard University. This dynamic training course provides a series of daily lecturers on emerging concepts, followed by extended discussion, laboratory research, technologically intense workshops and informal seminars over a week-long period. The primary aim is to educate and update rehabilitation and regeneration researchers on the implications of stem cells and tissue engineering for mechanistic discoveries and on designing improved strategies for rehabilitation discoveries, especially in the CNS and skeletal-muscular systems. This course provides an innovative educational opportunity to motivate biomedical trainees to pursue scientific careers in rehabilitation and regenerative research research. The target audience is young and promising faculty, as well as advanced postdoctoral fellows eager to learn about the newest findings and controversies. We intend to give participants knowledge of laboratory techniques, career mentoring and the ethical-legal-societal impact of rehabilitative and regenerative research to greatly enhance their successful entry into this field or to strengthen their knowledge in this field. For more information, contact pdc@mwri.magee.edu or call 412-641-2400. Project Description / Abstract: Arsenic is an odorless and tasteless semi-metal that contaminates drinking water supplies from natural deposits in the earth. It is estimated that almost 3.7 million individuals in the US, and over 140 million individuals worldwide, are exposed regularly to drinking water that exceed government arsenic standards. Increasing attention has been recently paid to the declines in functional mobility resulting from chronic arsenic exposure, which we now understand to pose a significant risk for causing skeletal muscle myopathies and atrophy, impairments that are among the greatest factors contributing to declines in functional mobility and strong predictors of mortality. However, many questions of the health impacts of environmental exposures throughout life remain, including the underlying mechanisms by which exposures negatively impact the cellular microenvironment, stem cell phenotype and, ultimately, tissue maintenance and healing capacity. The objective of this proposal is to elucidate mechanisms for arsenic-stimulated alteration of transcriptional circuitries that disrupt intra- and inter-cellular communication within the niche and compromise muscle structural integrity. We propose two specific aims to test our central hypothesis that arsenic stimulates fibroblast-mediated pathogenic matrix alterations, resulting in stem cell dysfunction and, ultimately, impaired wound repair after injury. In Specific Aim 1, we will test the hypothesis that exposure to commonly encountered levels of arsenic in drinking water promotes pathologic matrix remodeling to impair muscle stem cell function and regenerative capacity. In Specific Aim 2, we will test the hypothesis that arsenic dysregulates fibroblast activation, driving an impaired muscle stem cell function and tissue repair response after injury. Success in these aims will both increase our understanding of the pathogenesis of arsenic-induced clinical symptoms of myasthenia, and will elucidate skeletal muscle microenvironmental factors controlling stem cell declines. The long-term goal is to create prevention and/or intervention strategies to improve health outcomes of individuals living in arsenic-endemic areas. Project Description / Abstract: An age-related impairment of the regenerative capacity of aged muscle is a major contributor to declines in functional mobility and is associated with an increased morbidity in an elderly population. Following an acute injury, young skeletal muscle initiates a highly effective regenerative response, which largely restores the original architecture of the damaged fibers. Conversely, with increasing age, the regenerative response to injury results in a considerable scar tissue deposition at the expense of functional contractile tissue. Much of this healing defect has been attributed to an age-related decrease in muscle stem, or satellite, cell (MuSC) functionality. In response to skeletal muscle injury, MuSCs become activated from a quiescent state to repair damaged myofibers. However, it has been suggested that the increased fibrosis deposition following injury is a result of a myogenic-to-fibrogenic conversion of MuSCs. Fortunately, these age-related changes are reversible. Illustration: E. Matilda Ziegler Foundation for the Blind, Inc.
An estimated 7 to 10 million people worldwide have Parkinson’s disease, which is caused by degeneration of dopamine-producing neurons, said McGowan Institute for Regenerative Medicine affiliated faculty member Mark Richardson, MD, PhD, assistant professor of neurological surgery, Pitt School of Medicine, and director of Epilepsy and Movement Disorders Surgery at UPMC. Levo-dopa can replace the deficient dopamine for a while, but eventually the drug loses effectiveness, and subsequent increases in dosage may cause disabling side effects. In the gene therapy, a harmless virus called adeno-associated virus-2 is used to carry the gene that makes the enzyme – aromatic L-amino acid decarboxylase (AADC) – into neurons. Once in the neurons, cellular machinery kicks into gear to increase production of the AADC enzyme. To deliver the treatment, Dr. Richardson will make a small hole in each side of the patient’s skull to insert a thin catheter into the putamen, a brain region that is an important part of the circuit affected by Parkinson’s disease. 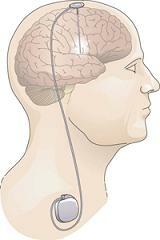 After the gene therapy is infused over several hours, the catheter is withdrawn and the skull is repaired. Different infusion doses will be tested during the course of the study. Up to 20 participants at two sites, Pittsburgh and San Francisco, will be followed for up to 3 years to have their disease and medication status reassessed. The principal investigator of the trial, which is sponsored by Voyager Therapeutics, is Krystof Bankiewicz, MD, PhD, of the University of California, San Francisco, who also led an earlier trial that showed the gene therapy can be safely administered. Individuals between 40 and 70 who have had Parkinson’s disease for more than 5 years and have been taking levo-dopa for at least 3 years may be eligible to participate in the trial. For more information, contact Patricia Porter, BS, at 412-648-8983 or Porterpm2@upmc.edu. 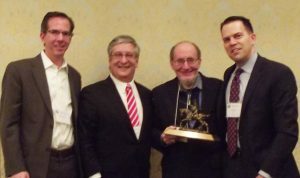 The Carnegie Science Center (CSC) established the Awards for Excellence program in 1997 to recognize and promote outstanding science and technology achievements in Western Pennsylvania. The Carnegie Science Awards have honored the accomplishments of more than 400 committed individuals and organizations that have improved lives through their contributions in science and technology. The 20th Annual Carnegie Science Awards celebration will be held on May 6, 2016, at Carnegie Music Hall in Oakland during which time McGowan Institute for Regenerative Medicine affiliated faculty members Prashant Kumta, PhD, and Rocky Tuan, PhD, will be honored for their tremendous work and its impact on the vitality in the region. Dr. Prashant Kumta will receive the Advanced Materials Award which recognizes accomplishments in materials science that create new materials or properties leading to significant business, economic, or societal benefits for the region. 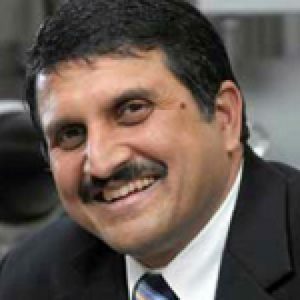 Dr. Kumta holds the Edward R. Weidlein chair professor at the University of Pittsburgh Swanson School of Engineering and School of Dental Medicine and is a professor in the Departments of Bioengineering, Chemical and Petroleum Engineering, Mechanical Engineering and Materials Science, and Department of Oral Biology. 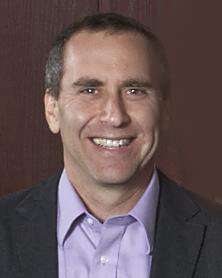 He is also Engineering Director of the Center for Craniofacial Regeneration and the Founding Director of the Center for Complex Engineered Multifunctional Materials, both at the University of Pittsburgh. During his career, Dr. Kumta has made pioneering achievements in advanced materials AND in advanced manufacturing which have led to a new platform technology for significantly improving methods to repair severely damaged bone. Dr. Kumta and his colleagues have developed a family of biodegradable materials to fix broken bones. While simple fractures are repaired with a simple plaster cast, complicated fractures require metal screws, pins, rods, or plates to hold the bone in place until the fractures heal. Currently, surgeons fix complex fractures arising from battlefield wound or traffic accident injuries using synthetic, inert materials such as titanium, stainless steel, or nondegradable polymer. The patient is forced to live with the hardware for life. It can be removed following bone healing, but that operation might cause other medical problems. The new advances described here offer the surgeon the opportunity to use biocompatible and biodegradable “fixation devices” providing the initial structural support for bone healing. At the same time, the novel magnesium/iron alloys developed by Dr. Kumta resorb into the body so that after bone healing, the plates and screws are not “lingering” in the body. The second component of this innovative solution is an injectable “bone putty” that can be injected between bone fragments serving to significantly enhance the speed and the quality of the bone healing process. Finally, through the use of a unique binder‐jet adaptive manufacturing process, these bone support components can be manufactured to closely replicate and restore the original boney structures of patients. The impact of this platform technology nation‐wide has been significant. The Department of Defense has aggressively supported the development of these systems to aid rehabilitation of wounded warriors. Once FDA approvals for the use of bone putty and the resorbable metals are received, we anticipate seeing widespread clinical use in orthopedic and musculoskeletal settings based on the technology and the products that come from Pittsburgh. The total medical costs associated with all musculoskeletal conditions amount to nearly $215 billion/year projected to increase further due to aging of the US population. Bone fracture injuries are common worldwide occurrence with ~6 million/year in the U.S. alone, accounting for ~10 million annual hospital visits. The platform technology developed by Dr. Kumta could significantly improve the speed and the quality of the recovery. The work by Dr. Kumta and his colleagues is revolutionary, offering the prospect of a better outcome for the patient. Implantation of the currently used state‐of‐the‐art biocompatible but inert screw or plate or joint that remains for the life of the patient leaves the patient susceptible to severe side effects. These include arthritis, debris formation, and accumulation of chemicals in various organs running the risk of cancer in patients. On the other hand, using the revolutionary technology of Dr. Kumta, doctors will be able to use degradable metals and ceramic putties that utilize the body’s own regenerative ability to provide a more effective method to heal the injury with no deleterious side effects. There are several unique features of this overall bone repair system: Both the novel magnesium/iron alloys and the calcium phosphate putty developed by Dr. Kumta are biocompatible and are resorbable by the body. Both provide suitable mechanical strengths matching the human bone to permit full regrowth and restoration of the damaged bone allowing no room for any unwanted secondary fractures. The putty is injectable or can be manufactured in desired shapes and sizes to match the patient needs by the binder-jet adaptive manufacturing methods. Both sub‐systems can be produced in any desired configuration and macro scale structure by additive manufacturing. There are multiple future applications such as dental restoration and other conditions involving bone loss due to traumatic battlefield or civilian injuries and debilitating diseases such as osteoporosis and bone cancer. Dr. Rocky Tuan will receive the Life Sciences Award which recognizes and honors scientific advances in new and innovative biomedical and life sciences endeavors. Dr. Tuan is the director, Center for Cellular and Molecular Engineering, the Arthur J. Rooney, Sr. professor and executive vice chair, Department of Orthopaedic Surgery, the associate director, McGowan Institute for Regenerative Medicine, the director, Center for Military Medicine Research, and a professor in the Departments of Bioengineering and Mechanical Engineering and Materials Science, University of Pittsburgh. Dr. Tuan directs a multidisciplinary research program, which focuses on orthopaedic research as a study of the biological activities that are important for the development, growth, function, and health of musculoskeletal tissues, and the utilization of this knowledge to develop technologies that will regenerate and/or restore function to diseased and damaged skeletal tissues. Ongoing research projects are directed towards multiple aspects of skeletal and related biology, including skeletal development, stem cells, growth factor signaling, bone-biomaterial interaction, extracellular matrix and cell-matrix interaction, nanotechnology, biomaterials, 3D printing, mechanobiology, regenerative medicine, and tissue engineering, utilizing an integrated experimental approach combining contemporary technologies of biochemistry, cell and molecular biology, embryology and development, cellular imaging, and engineering. 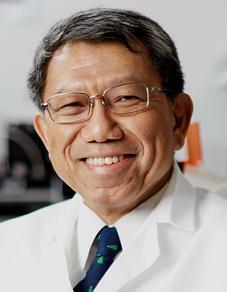 He is internationally recognized as for his pioneering studies into the cause and the treatment of osteoarthritis. His studies have shown the feasibility of using 3D microphysiological systems for testing drug toxicity and efficacy. For more than 30 years, Dr. Tuan has studied the workings of the musculoskeletal system and its diseases, including cartilage development and repair, cell signaling and matrix biochemistry, stem cell biology, nanotechnology, and other orthopaedic topics. He is well known for his innovative research on the development, growth, and function of the musculoskeletal system. He has authored more than 400 refereed publications. He has done pioneering work on adult stem cells and cell-based tissue engineering, in particular applications in skeletal tissue engineering and repair. His research on cartilage has included cellular signaling in developmental chondrogenesis and the utilization of adult stem cells in tissue engineering. Dr. Tuan has also pioneered the development of molecular diagnostic technologies for orthopaedic infections, an achievement that has significant impact in the clinical setting. In 2004, he received the prestigious Marshal Urist Award for Excellence in Tissue Regeneration Research from the Orthopedic Research Society. Dr. Tuan has placed special emphasis on building strong basic science foundations for the treatment of injuries and diseases of the musculoskeletal system, and utilizing nanotechnology and mechanobiological principles in combination with bioreactor technology for functional skeletal tissue engineering and regeneration. Since joining the University of Pittsburgh, Dr. Tuan has established a national and international center of excellence built on research innovation, a strong education program, and an entrepreneurial culture that fosters local and regional collaborations among the academic, industrial, and business communities. 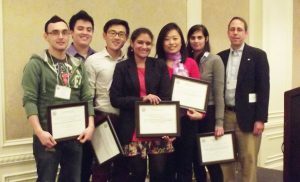 Dr. Tuan has received multiple awards for his teaching and mentoring skills, including the Outstanding Mentor Award, National Institutes of Health, and on two occasions the Special Recognition Award, National Institutes of Health Undergraduate Scholars Program. In 2014, he was named a Distinguished University Professor by University Chancellor Mark Nordenberg. Congratulations, Drs. Kumta and Tuan! Australian regenerative medicine company Orthocell Limited recently announced the appointment of regenerative medicine expert and McGowan Institute for Regenerative Medicine Associate Director Rocky Tuan, PhD, to its Medical and Scientific Advisory Board (MSAB). The MSAB advises Orthocell on strategic matters such as clinical research and product development. It provides valuable expertise to Orthocell as it expands its unique tendon and soft tissue repair products into international markets and advances opportunities in tissue specific growth factors and laboratory manufactured human tendons. 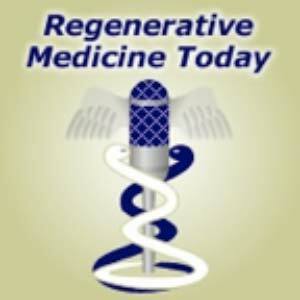 Dr. Tuan is a widely published and respected expert in regenerative medicine and stem cells. He is currently the Director of the Center for Cellular and Molecular Engineering in the Department of Orthopaedic Surgery and Director of the Center for Military Medicine Research, within the School of Medicine, at the University of Pittsburgh. Dr. Tuan’s past appointments include the National Institute of Health (NIH) as Chief of the Cartilage Biology and Orthopaedics Branch. In 2004, Dr. Tuan received the Marshall Urist Award for Excellence in Tissue Regeneration Research of the Orthopaedic Research Society. The 2016 Pittsburgh Heart Ball took place on February 20th at the Pittsburgh Wyndham Grand Hotel. This affair marks the presentation of the Peter J. Safar Pulse of Pittsburgh Award. 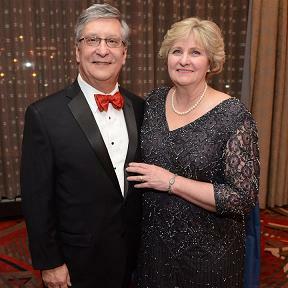 This year the award was received by McGowan Institute for Regenerative Medicine faculty member Robert Kormos, MD (pictured with his wife, Mary Anne). 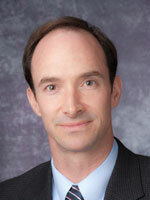 Dr. Kormos is currently a professor with tenure specializing in cardiothoracic surgery at the University of Pittsburgh. He is the director of UPMC’s Artificial Heart Program and co-director of the Heart Transplantation Program. Dr. Kormos has been on the faculty at the University of Pittsburgh since 1987 after completion of fellowships in research and transplant surgery. He is also a staff cardiothoracic surgeon at several UPMC hospitals and Pittsburgh’s Veterans Administration Hospital. The American Heart Association – Allegheny Division board of directors and the Heart Ball committee created the Pulse of Pittsburgh Award in 2003 to recognize an individual’s leadership in the fight against heart disease and stroke. In 2004, the committee changed the name to the Peter J. Safar Pulse of Pittsburgh Award in honor of the late Peter J. Safar, MD, distinguished professor of resuscitation medicine at the University of Pittsburgh, who also was known as the Father of CPR. Illustration: Rebecca Droke, Pittsburgh Post-Gazette. McGowan Institute for Regenerative Medicine affiliated faculty member Michael Boninger, MD, director of the UPMC Rehabilitation Institute and professor and chair of the Department of Physical Medicine & Rehabilitation, University of Pittsburgh School of Medicine, received the 2016 Association of Academic Physiatrists (AAP) Distinguished Academician Award at the association’s annual meeting in Sacramento, California. 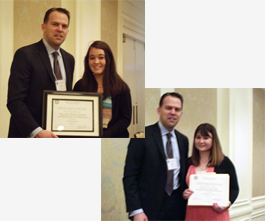 Each year, the AAP honors one academic physiatrist who has achieved distinction and peer recognition regionally or nationally for outstanding performance in teaching, research, or administration. “I feel very lucky to work in a field where I have the opportunity to help people. The University of Pittsburgh and UPMC have provided me the opportunity, support, and collaborators to excel in this pursuit,” Dr. Boninger said. The author of four U.S. patents, Dr. Boninger is recognized for his extensive research on spinal cord injury and assistive technology and overuse injuries, particularly those associated with manual wheelchair propulsion. Dr. Boninger earned his medical degree at Ohio State University. He completed residencies at St. Joseph Mercy Hospital in Ann Arbor and the University of Michigan Medical Center, where he became the chief resident, physical medicine and rehabilitation. He came to the University of Pittsburgh when he won a postdoctoral fellowship in engineering and rehabilitation technology in 1994. The AAP Distinguished Academician Award was established in 1995. Dr. Boninger is the first faculty member from Pitt’s Department of Physical Medicine and Rehabilitation to win this national award. 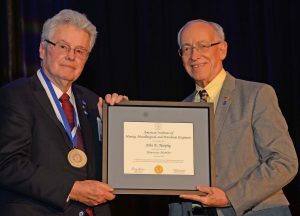 John Murphy is the 2016 recipient of the Erskine Ramsay Medal, presented by the Society for Mining, Metallurgy and Exploration (SME) and the American Institute of Mining, Metallurgical and Petroleum Engineers. He was recognized “for his unselfish, tireless contributions to the coal industry, safety and health research, public outreach, professional development, mentoring and, of course, the Society.” Prior to joining the University of Pittsburgh, Murphy served as the research director at the Pittsburgh Research Center of the U.S. Bureau of Mines from 1978 to 1997. He served as a senior scientist at the Pittsburgh Research Laboratory, National Institute for Occupational Safety and Health from 1997 to 2001. Murphy is a Distinguished Member of SME and a past president of SME (2011) and the SME Foundation (2004-2009). AIME Honorary Membership was also presented to John Murphy “in recognition of his dedication and perseverance in developing a purpose and mission for the SME Foundation, continuing through his exemplary service as SME president.” AIME Honorary Membership is one of the highest honors that the Institute can bestow on an individual. It is awarded in appreciation of outstanding service to the Institute or in recognition of distinguished scientific or engineering achievement in the fields embracing the activities of AIME and its Member Societies. #157 –– Dr. An is an Associate Professor of Surgery at the University of Chicago. Dr. An discusses the application of complex systems analysis to sepsis and inflammation through modeling. 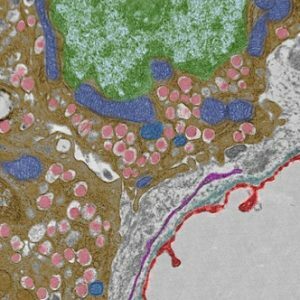 False colored pancreatic beta cells, highlighting the insulin granules (pink), mitochondria (blue), nucleus (green), fenestrated capillary (red). Transmission Electron Microscopy. Mara Sullivan and Donna Stolz, Center for Biologic Imaging, Cell Biology. Author: Nishikawa T, Bell A, Brooks JM, Setoyama K, Melis M, Han B, Fukumitsu K, Handa K, Tian J, Kaestner KH, Vodovotz Y, Locker J, Soto-Gutierrez A, Fox IJ. Title: Resetting the transcription factor network reverses terminal chronic hepatic failure. Summary: The cause of organ failure is enigmatic for many degenerative diseases, including end-stage liver disease. Here, using a CCl4-induced rat model of irreversible and fatal hepatic failure, which also exhibits terminal changes in the extracellular matrix, we demonstrated that chronic injury stably reprograms the critical balance of transcription factors and that diseased and dedifferentiated cells can be returned to normal function by re-expression of critical transcription factors, a process similar to the type of reprogramming that induces somatic cells to become pluripotent or to change their cell lineage. Forced re-expression of the transcription factor HNF4α induced expression of the other hepatocyte-expressed transcription factors; restored functionality in terminally diseased hepatocytes isolated from CCl4-treated rats; and rapidly reversed fatal liver failure in CCl4-treated animals by restoring diseased hepatocytes rather than replacing them with new hepatocytes or stem cells. Together, the results of our study indicate that disruption of the transcription factor network and cellular dedifferentiation likely mediate terminal liver failure and suggest reinstatement of this network has therapeutic potential for correcting organ failure without cell replacement. Source: Journal of Clinical Investigation. 2015 Apr;125(4):1533-44. Epub 2015 Mar 16. Description: Arsenic is an odorless and tasteless semi-metal that contaminates drinking water supplies from natural deposits in the earth. It is estimated that almost 3.7 million individuals in the US, and over 140 million individuals worldwide, are exposed regularly to drinking water that exceed government arsenic standards. Increasing attention has been recently paid to the declines in functional mobility resulting from chronic arsenic exposure, which we now understand to pose a significant risk for causing skeletal muscle myopathies and atrophy, impairments that are among the greatest factors contributing to declines in functional mobility and strong predictors of mortality. However, many questions of the health impacts of environmental exposures throughout life remain, including the underlying mechanisms by which exposures negatively impact the cellular microenvironment, stem cell phenotype and, ultimately, tissue maintenance and healing capacity. The objective of this proposal is to elucidate mechanisms for arsenic-stimulated alteration of transcriptional circuitries that disrupt intra- and inter-cellular communication within the niche and compromise muscle structural integrity.